Why You Need a Child Plan For Your Child's Education? How a Child Plan Can Help You to Plan Your Child's Education? Education fees are soaring high and inflation is making it a nightmare for you to provide a sound education to your child. But a child plan can help you to plan a better future for your child. Every parent is concerned about their child’s future. And if you are looking for financial tools to help you to make your child’s future bright, then opting for a child plan is a good way. 1) How can I plan my child’s future without worries? 2) Is there any option of securing child’s future without much investment? 3) My son/daughter dreams of becoming …. How do I ensure to fulfill their dreams? How Should You Plan Your Child’s Future? What would you like your child to be in future? Or totally someone else. Maybe a professional in something that would be a new field, when your child grows up. Whatever you or your child decides, the essential point is to have enough funds to make their dreams come true. And it is not a hidden secret that education costs us more than our pocket could pay. The rising education fees are digging a hole in the pockets. Today, a higher degree, like MBA costs nearly Rs.10-15 lakh. Imagine, the fees 10 years down the line? Imagine, a sum amount of more than Rs.25 lakh for getting an MBA degree. Or what if your child wants to go abroad for further studies. The educational inflation is over the head. How to Secure Your Child's Future with Child Education Plan? Let's see how a child plan can help you to build a corpus to make your child's future bright. But before that you should know - What is a child plan? A child plan is a typical life insurance plan with an opportunity for investment – to build a corpus for your child’s future. It is a financial instrument that will help in your child’s higher education. 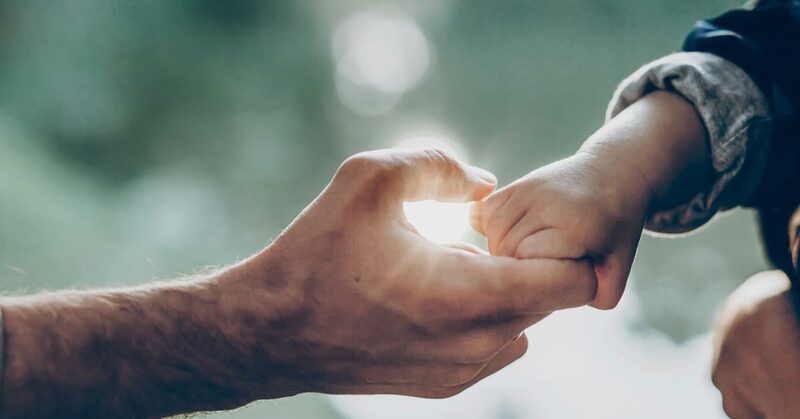 The most beneficial aspect of a child plan is, that it not only provides monetary support at various growth stages of your child but also continues if the life assured passes away. That is, your child’s future is safe, even if you are no more. Peace of mind – As your child’s future is in safe hands, even if something unfortunate happens to you. The entry age to buy a child plan varies from insurer to insurer. However, the age of 18 years and 21 years is the most common entry age to buy a child plan. While the maturity age can be up to the age of 60-65 years. The sum assured varies from plan to plan. Some plans have no minimum amount. Some plans have a criteria of at least 5-10 times of the annual premium amount. Which means, if the annual premium is Rs.20, 000/- then the sum assured could be approx. Rs.2 lakh. How Does a Child Plan Help in Your Child’s Education? A child plan is a way of planting a seed for your child’s bright future. It gives you an opportunity to ensure your child’s dreams come true. All child plans offer insurance and investment opportunity. There are many unit linked child plans available, means you can invest in various corpus building funds. These offer market linked returns than a traditional child endowment plan. Such unit linked plan may offer Loyalty Additions apart from guaranteed death and maturity benefit. Moreover, some child plans have in-built different riders, such as accidental death benefit, waiver of premium, accidental total and permanent disability benefit rider, etc. In case the policyholder passes away during the policy term, the insurance company pays the death benefit. Plus, the insurance company pays the premiums on your behalf and continues the policy till the end. This helps ensure completion of your child’s education without any hindrance. This way, you are protecting your child’s education. If you do not hold a child plan, it would be difficult for your child to complete their education, in case of such eventualities. How Does a Child Plan Work? As a concerned parent, you must be worried about fees for higher studies for your child. But, let us see an example to understand how a child plan works, so that you may sleep peacefully. If the policyholder passes away during the policy tenure The insurance company pays the death benefit. However, the policy continues as the insurance company pays the remaining premiums. If the policyholder outlives the policy tenure The insurance company pays the maturity benefit. Let us say, you have a 5 year old kid. You plan to opt for a child plan, wherein the Sum Assured is Rs.20 lakh and a policy term of 10 years. a) The insurance company pays the death benefit to the nominee. b) The insurance pays the premium for the rest of the period i.e. 5 years. c) The insurance company pays the maturity benefit at the end of the 10th year and the policy terminates. a) The insurance company pays the maturity benefit and the policy terminates. A long-term planning for your child’s education is a must. And what other better, safe, and the guaranteed option is available to give you peace of mind other than a child plan? When you invest in a child plan, you give your child an assurance of his/her bright future so that tomorrow they can be financially independent, grow, and prosper.